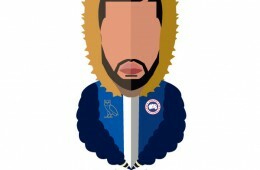 Unofficial Mayor of The 6 Drake handled All-Star Game starters introductions at the Air Canada Centre. 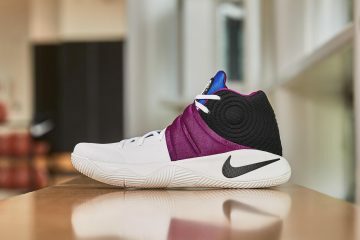 Who said the Six ain't friendly. 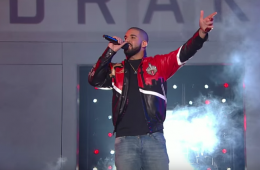 Drake and his Canadian squad will take on Kevin Hart and his roster from the US. 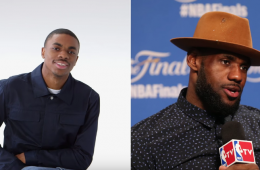 Rapper Vince Staples holds nothing back discussing the personal style of 13 NBA Stars. 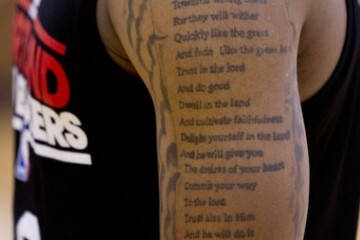 In anticipation of the second Damian Lillard signature shoe from adidas. 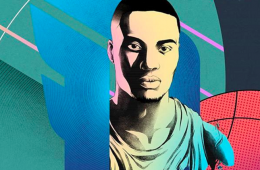 Artist Khammy Vilaysing created this animation of Dame DOLLA and the D Lillard 2. 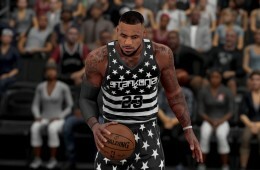 Master level NBA 2K16 designer Curtis Skillz brings another Rap Album Covers x NBA Jerseys collection originally created by Patso Dimitrov to video game life. 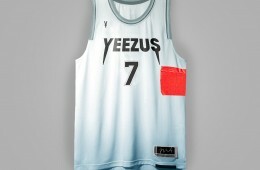 Back with a strong follow up to his original Rap Album Covers x NBA Jerseys collection. 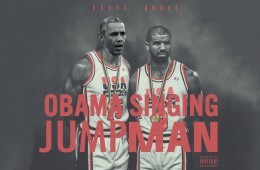 The Detroit Pistons remixed Drake and Future's Jumpman track with President Barack Obama sound clips to get Andre Drummond some all-star game votes. 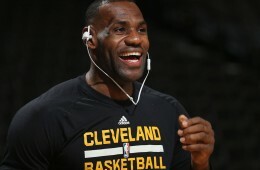 Today, LeBron James gave his reaction to the Kanye West Nike diss track 'Facts' that slams his former creative partners. 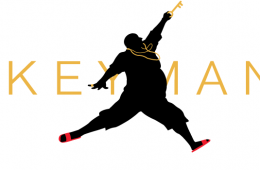 Why would North Carolina-based designer, Ryan Cocca create a DJ Khaled inspired Jordan logo dubbed the Keyman logo? 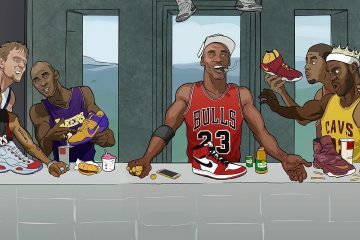 Cause he the best. 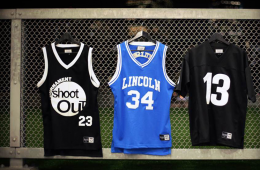 Inspired by the Nike x NBA Jerseys x Rap Artists collection. 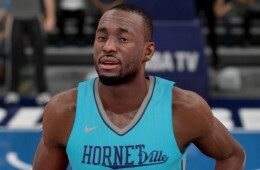 NBA 2K16 designer Curtis recreated the home and away version of the Charlotte Hornets x J.Cole kit. 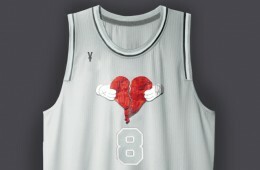 Philadelphia based apparel maker VILLA teamed up with rapper Fabolous to launch the ‘Watch Me Ball’ jersey collection. 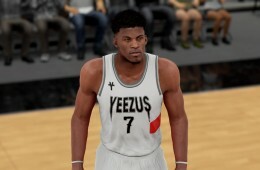 Master level NBA 2K16 designer Curtis (aka @skillzFromThe6) did his thing with the Rap Album Covers x NBA Jerseys collection. 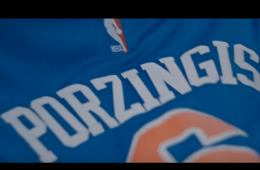 Designer Patso Dimitrov builds a fancy art bridge between music and basketball with his Rap Album Covers x NBA Jerseys project.